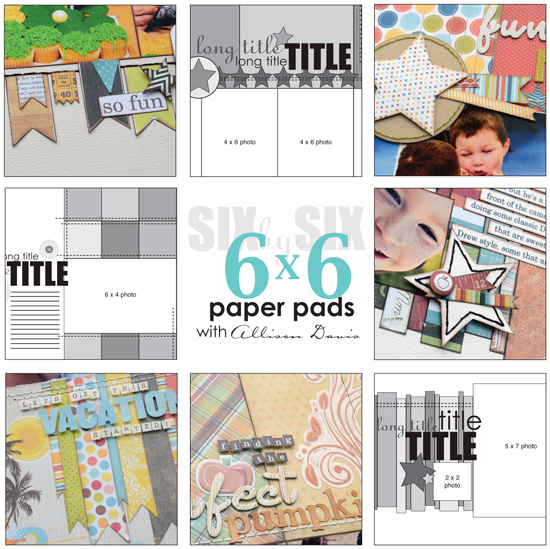 The non-interactive class is offered in PDF format and focuses on using 6 x 6 paper pads on full-size two-page layouts. There are 11 new sketches and 11 layout examples by me. The 16-page PDF instructions include tips for using the papers uncut, as they are, as squares in different sizes, and as strips. In separate PDFs there are full-size sketches, large pictures of the layout examples, and up-close pictures of the details on each layout. I think it totals around 49 pages. I have to say, this class was a lot of fun to put together. If you haven't used 6 x 6 paper pads on full-size layouts you really are missing out. It's quick, it's easy, and it's inexpensive. I was often surprised at just how quickly these layouts went together. Plus, the sketches for this class not only work great with 6 x 6 paper pads but also with any size of paper you are using. The class is non-interactive which means that it isn't instructor led. The class is simply PDFs that you can download and use at your own pace. Don't let the fact that it's not instructor led turn you away. 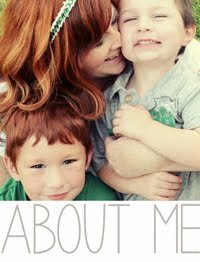 As always, if you ever have any questions about anything in these classes you are welcome to email me at allison@scrapbookgeneration.com and I will get back to you as soon as I can. You can purchase the class by clicking here. Don't forget that Sketch Support, the popular online class I taught through My Creative Classroom is available in PDF form at Scrapbook Generation. You can read more about it or purchase it by clicking here. • Allison Davis #1: three two-page layouts by Allison Davis (each features a heavy focus on circle elements.) First sketch features 4" circle photos with circle accents and a big flourish; with five photos. Second sketch features a large cluster of circles in all sizes going across the page and includes five photos; four of the five photos are 4x4. Third sketch features a circle border across the page with ten photos; six 2x2 photos, three 4x6 photos, and one 3x3 photo. You can purchase Sketch Trio - Allison Davis #1 by clicking here. • Allison Davis #2: three two-page layouts from a popular Allison Davis class held at SG retreats. First sketch features a hexagon border, banner elements, and a large background piece; three 4x6 photos and three 4x4 photos. Second sketch features strips/banner pieces behind a row of photos; three 3x4 photos and one 4x6 photo. Third sketch features a combination of 3x3 squares of paper and 3x3 photos; six 3x3 photos and one 4x6 photo. You can purchase Sketch Trio - Allison Davis #2 by clicking here. You can purchase Sketch Trio - Be Square by clicking here. You can purchase Sketch Trio - Girlish Looks by clicking here. You can purchase Sketch Trio - Boyish Charm by clicking here. You can purchase Sketch Trio - Lot-o'-Pics by clicking here. You can purchase 1 Sketch 3 Looks - Circular Motion by clicking here. You can purchase 1 Sketch 3 Looks - Page Within a Page by clicking here. You can purchase 1 Sketch 3 Looks - Embellish It by clicking here. You can purchase individual sketches by clicking here. Free Sketch -- free to everyone! You can download the free sketch by clicking here. Be sure to check out all the sketches and downloads at Scrapbook Generation! All sketches will remain in our store indefinitely so you can still purchase the sketches from last month too. Visit the downloadable section of our online store by clicking here. You could win a $100 prize package (with products from My Mind's Eye, Echo Park, Authentique, Fancy Pants, and Maya Road) by sharing a Facebook post from our Scrapbook Generation page. You can find the information on our Facebook page. Wow! So many NEW sketches to choose from. This is great! I downloaded Sketch Support last month and could not be happier. I have enjoyed all the different tips along with the varous ways to alter each layout. You got my creative juices flowing and I'm having lots of fun. I may actually finish scrapping our last vacation before we head out on the next! Yeah! Glad to see that "support" is still available. Thank you! I purchased the 6x6 paper class last night...love, love, love! If I didn't have a little scrapbooking crush on Allison before, I certainly do now!! I purchased the 6x6 class and it is just what I needed to give me more ideas for using my 6x6 papers and will be great for working with scraps, too. Thank you for continuing to share your gift of creativity, Allison! I made my first page using a sketch from the 6x6 class. I even sent it to your sister. It was fun and fast. I am anxious to start another.